Now guess what will happen if human beings eat radioactive Japanese food? 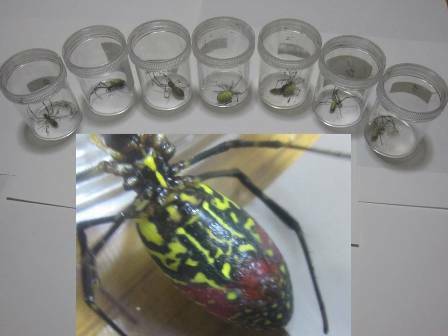 In his post on October 30, Professor Mori wrote about his discovery, probably the world first, he made in spiders (Nephila clavata) he caught in Iitate-mura, Fukushima Prefecture, where the villagers were forced to evacuate after being designated as “planned evacuation zone”. 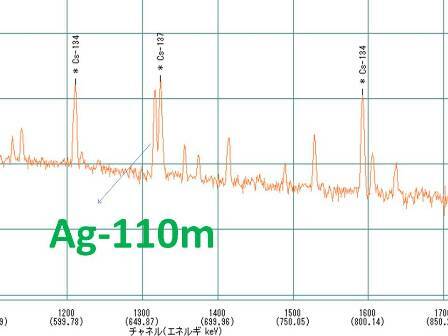 The spiders, he found, had radioactive silver (Ag-110m) at 1,000 times the concentration in the environment. Since it was difficult to collect plants in the rain in Iitate-mura, I caught instead “nephila clavatas” in the bamboo groves and cedar forest. I don’t know whether the spiders eat dirt itself, but I thought they may have concentrated radioactive cesium in their bodies as they were at the top of the food chain in the forest, eating butterflies, horseflies, and drone beetles that they caught in their webs. I will present the details of my research on Saturday November 26 at the Japanese Society of Science and Plant Nutrition’s Kanto Branch meeting (Faculty of Horticulture at Chiba University in Matsudo City, Chiba). Please come. Appendix: I’d like to thank Keitaro Tanoi of University of Tokyo Graduate School of Agricultural and Life Sciences for the measurement. PS: The definition of bio-concentration used here is calculated from the ratio to radioactive cesium. I won’t discuss it in details here, but depending on how bio-concentration of radioactive cesium is defined, the concentration ratio of radioactive silver by nephila clavata may be even higher. Professor Mori says he is planning to write up the paper on the subject in English and submit it, but he says that’s secondary. 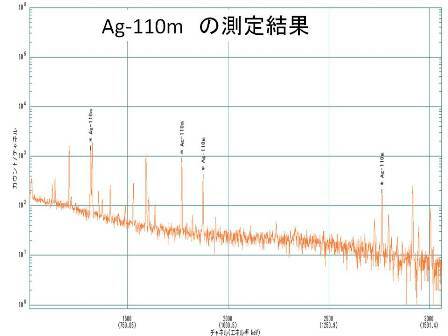 The most important thing, he says, is to disseminate information as wide as possible when it comes to radiation contamination, and he uses his blog to post his own unique discovery like this even before he writes it up as a scientific paper.